During the online purchase process, before payment, you will be informed of exact delivery charge. You can also phone in shop to inform you : 450-622-0341. 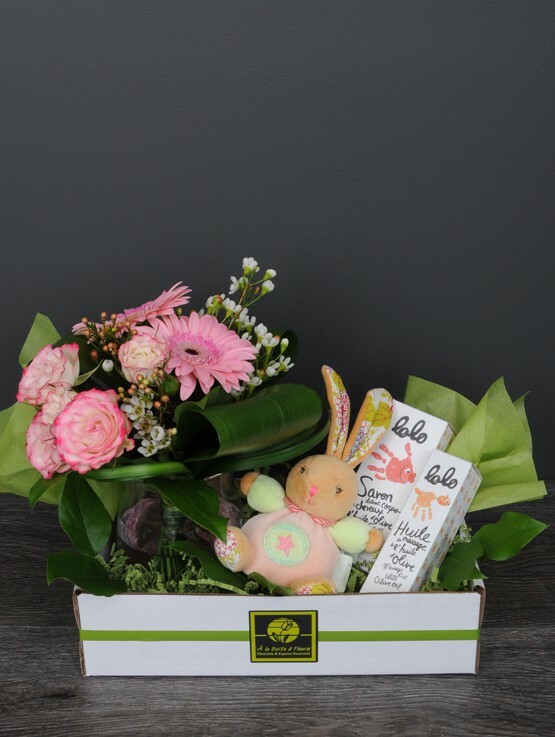 For the delivery of the most remote towns in Québec, elsewhere in Canada or abroad, your order can be mailed or transferred to another florist. Contact us for details and fees that apply. An order received before 10 am will be delivered the same day, if desired. If received later, it is still possible to deliver your flowers or gifts during that day. Indeed, if we have places in our delivery schedule, we will gladly make your delivery at no extra cost. Otherwise, an express service is available for which charges apply depending on the distance and time. Call us for details:450-622-0341. Regarding delivery times, our delivery staff need a range of 4 hours to manage and plan the unexpected, traffic, bad weather and all other deliveries. During the online purchase process, you can specify the desired delivery date and indicate in the « Comments » section if you have a preference for the time (eg between 12h and 16h if possible). Deliveries are usually made between 10h-17h. However, deliveries to Montreal and the Rive-Sud are scheduled towards the end of the morning until early afternoon. Delivering flowers is a mission we are honored to perform for you. Professionalism, courtesy and efficiency are waiting for you at our boutique. Our vehicles are adapted to protect flowers against thermal shocks and our delivery men manipulate packaging carefully. The flowers are delivered by hand to ensure a product of exceptional quality! We are obliged to call before making a delivery, because too often in the past, our delivery men have stumbled on an unanswered door. Sometimes it may be that the person is there but does not want to be disturbed if it does not wait for anyone, whether in the shower or is ouf for few minutes. Also, for the sake of quality and professionalism, we can not leave the bouquet or arrangement at the door to avoid the risk of frost, heat or theft. Usually, when our delivery man phones, the person who receives the flowers is very happy with the call and expresses his enthusiasm to receive flowers. The surprise effect is here! How can I ensure the quality of the flowers? Our mission is to offer to our customers a premium product by delivering the freshest flowers in the market. We receive daily arrivals and work with qualified suppliers who can certify the origin and quality of their flowers. How can I be sure of the availability of the flowers after choosing it on the web site? There are so many varieties of flowers and colors that exist on the market that it would be impossible to have this diversity at all time. It is therefore possible that the chosen arrangement in the online shop contains flowers or foliage that are not available at the time of making. In this case, we pledge to respect the style and value of the bouquet. If you have any preferences or constraints, use the comments box when ordering to inform us. What is the lifetime of a bouquet of flowers delivered? Depending on the care, a bouquet of flowers can be kept for 5 to 10 days. And depending on the chosen flowers, its duration can even reach 15 to 21 days. At the time of delivery, an information card is given to explain the care to focus on for the conservation of the bouquet. Is it possible to deliver a bouquet of flowers in a company, a hotel or a hospital? Of course! We just need the name and the address of the establishment and the specific details of the person or local. We accept payment via PayPal, Visa and MasterCard credit cards. Our online store uses the very secure payment system Stripe. Is it possible to include a message for the recipient? Yes it is! You just have to specify your message in the space provided for this purpose in our online order form. Who should I contact if I have any comments or complaints? Stéphanie Joly, Director of the florist division, invites you to contact her directly by phone at 450-622-0341 or by emailing her at stephanie@alaboiteafleurs.com. Be assured of attentive listening. Our customers are our priority! May I ask for a specific delivery time or date? You can request for a specific delivery day. For the delivery time, we operate in a range of 4 hours. For any special request, please contact us. For home deliveries, we always call to confirm that there will be someone to receive the flowers. We leave no bouquet outside nor to a neighbor, except by special request. Will I receive an e-mail confirmation when my flowers or gifts will be delivered? An e-mail confirmation of your order will be sent upon receipt. No confirmation is sent after delivery. We will contact you only if your order could not be delivered. Is it possible to combine more than a name and a shipping address in one order? An order must have one single address and recipient. In the case of different delivery addresses, you must make a new order for each one. Is it possible to send flowers anonymously? Yes it is. Only specify it on the comments box. However, be advised that in these situations, the person may refuse the flowers or gifts. If this is the case, we will notify you and no refund will be possible. Is it possible to change or cancel an order already paid and confirmed? In this special situation, you must contact us as soon as possible by phone. We can then inform you if it is still possible to make this change.